Over a decade of advanced research has resulted in the development of automation engines that can be linked with most workforce management software solutions on the market today. This has the effect of dramatically improving the capability of currently available systems, providing faster and better staff schedules. 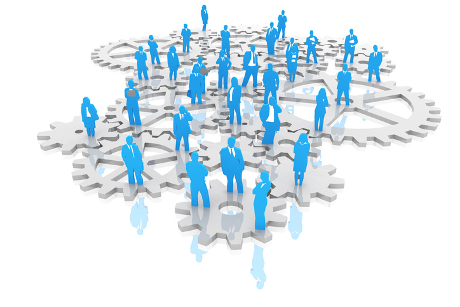 Staff Roster Solutions can work with developers of workforce management software using unique plug in packages that will add greater power and automation. Our fully automated scheduling engines can be integrated with any existing workforce management / rostering solution. Our customers leverage the benefit of their existing user interface and workforce management features, but when it comes to generating work schedules, our automation modules do the work. Improve the reach and performance of your workforce management application by fully automating the generation of shift schedules and rosters. Make the most of your team by optimising shift design and assignment, including shift start & end times, break assignment, activity switching and split shifts. State-of-the-art algorithms create optimal schedules based on your objectives. A fully documented platform independent interface means minimal integration time. Find out more about our products and select the one that is right for your needs. Choose from assigning shift patterns - AutoRoster - or designing and assigning shifts - ShiftSolver. From healthcare to retail to emergency services, we listen to our customers needs and provide solutions that meet them. Ten years of advanced research at the University of Nottingham in automated scheduling systems resulted in the development of an automation engine suitable for workforce management systems. Originally addressing the complex nature of shift workers in healthcare, the automation engines and associated models have since been adapted for a broader range of workforce requirements by Staff Roster Solutions. With further development and restructuring the software is now in a form of two plug in products, AutoRoster and ShiftSolver, that can directly link with existing solutions to enhance their capability. Staff Roster Solutions works directly with workforce solution developers and providers to ensure that the plug-in packages are suited to the needs of their clients. Our early customers were mainly providers of workforce software-based solutions who needed the added automation and modelling capabilities provided by AutoRoster and ShiftSolver to ensure their products and services were best suited to their client's needs. Staff Roster Solutions are equally willing to work with in house development teams within corporations that develop their own software for their specific workforce scheduling requirements. The workforce scheduling engine was exclusively licensed from the University of Nottingham. Further development and restructuring by Staff Roster Solutions has made it suitable as a commercial product that addresses the needs of workforce solution providers. The original research was published in several peer-reviewed, top ranking, international scientific journals. The algorithms use a combination of techniques taken from the fields of metaheuristics and mathematical programming. An important element of the research was establishing that the solutions gained through automation accorded with expectations of suitable solutions in real situations. We always sought to ensure the algorithms gave better and more suitable results than would be likely through other techniques that could be described as providing a best guess. Both main plug in products from Staff Roster Solutions include the automation engine with ShiftSolver having extra functionality centred around specific scheduling scenarios. Products. Our products are designed to seamlessly plug in to existing systems and provide the automation required. Nevertheless, we tend to work with clients to ensure that the software packages do link well together without causing unforeseen issues. We offer two key products - AutoRoster and ShiftSolver. As well as allowing weightings to be added to constraints AutoRoster also allows the definition of more complex, organisation specific constraints which may exist, such as " if ... then ..." rules for example. Schedule Automation: AutoRoster takes all the data on individuals and associated constraint data and using the Staff Roster Solutions unique automation engine, the best automated roster solution is created, depending on the time allowed for analysis. A quick automated solution can be found in seconds. Better solutions can take longer depending on the complexity of the dataset. ShiftSolver: ShiftSolver has many of the same modelling options as AutoRoster but is designed for problems in which the start and end times of shifts also need to be decided for each employee for each day. It will also position breaks and assign activities within shifts according to the user-defined rules and preferences. The demand/cover constraints are specified by activity (and optionally skill) for each user-defined time interval within the planning horizon (such as every 15 minutes for example). Created for developers and providers of workforce rostering software solutions, AutoRoster adds automation and additional functionality. Whether you are a provider of workforce solutions to a range of clients, or a team within a corporation that has established a bespoke solution, AutoRoster can improve the speed and efficiency of your rostering and scheduling solutions by linking your software with the AutoRoster automation engine. ShiftSolver extends the capability of AutoRoster with a focus on complex shift patterns, allowing users to optimise shift design and assignment. With ShiftSolver the automation not only accounts for shift start and end times, but also enables roster solutions to recognise the importance of activity switching, breaks and split shifts. Originally our research and validation were done using models specifically designed for the healthcare market. However, as Staff Roster Solutions began its further development using a broader range experts it was quickly apparent that the models and automation engines could be modified to satisfy the needs of a much wider market. Working closely with our early adopters across Europe and the USA we were able to identify and incorporate some very useful adjustments, which are always done with a view to expanding the products and / or the product portfolio to fit with the ever-changing needs of the workforce management market place. The creation of ShiftSolver as a separate product to AutoRoster is a perfect example, since it was developed after working closely with a provider of workforce solutions which had several clients with particular needs relating to shift design and aligning the most appropriate workers to complex shift patterns. The automation engines of both AutoRoster and ShiftSolver were developed over a decade of research and an additional four years involving a significant amount of further development and validation. State-of-the art algorithms from the fields of combinatorial optimisation and artificial intelligence are used to search for optimal solutions as quickly as possible. Different algorithms are combined such as local search and metaheuristics as well as exact algorithms such as dynamic programming and branch and bound are used to solve the variety of problems that can be created using the interfaces.